It’s finally here! 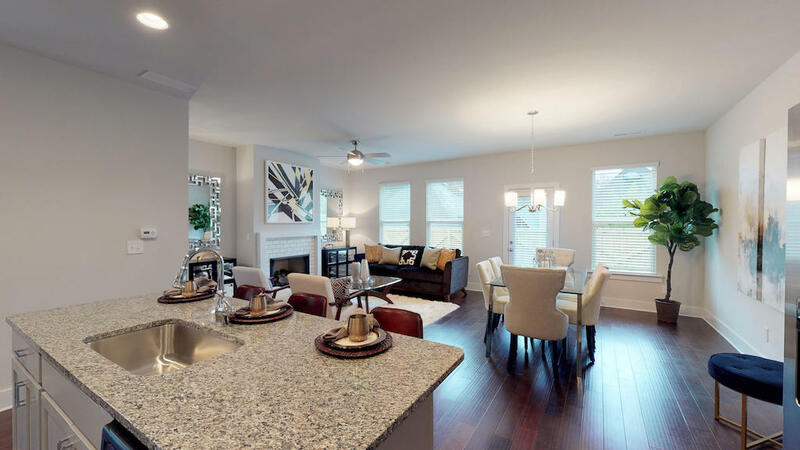 We have a newly decorated model home and 4 homes available now in Heights at Grant Park. Help us celebrate our newest townhome community this weekend. The Heights at Grant Park Grand Opening is on Saturday and Sunday, December 1st and 2nd. Tour the new model home and explore the stunning selection of available inventory. This is a great opportunity to get to know Heights at Grant Park. Modern, gourmet kitchens with quartz countertops and stainless steel appliances. Open-concept living area on the main floor, ideal for entertaining during the holidays. Cozy fireside family rooms for staying warm by the fire while enjoying your morning coffee or favorite holiday movie. Relaxing master bedrooms with space for a comfortable in-room sitting area. Spa-inspired master baths with relaxing tile and hardwood combinations. You can see all these details and more on full display when you tour our newly decorated model home. Ready to find your new townhome? Join us at our Heights at Grant Park Grand Opening on Saturday and Sunday, December 1st and 2nd. During this 2-day event, you can tour our model home and view the other homes available now in Heights at Grant Park. You can also take advantage of our exclusive weekend special while you’re here! This includes a stainless steel refrigerator and $5000 in closing costs when you use one of our preferred lenders. Contact onsite Agent Denise Williams today for more information about this new Grant Park community.